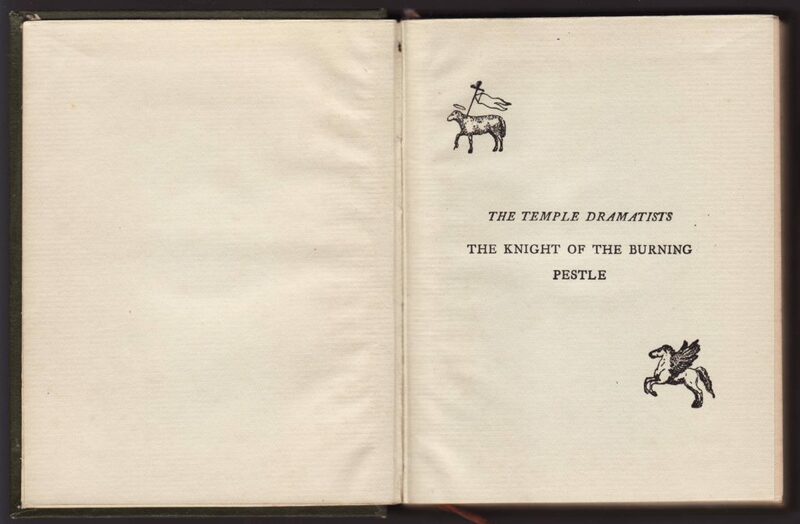 A companion series to the Temple Classics and Temple Shakespeare, the Temple Dramatists series was published from 1896 until at least 1970. Macmillan published the series in the US from 1896 to 1910, when Dutton took over the series for the US. 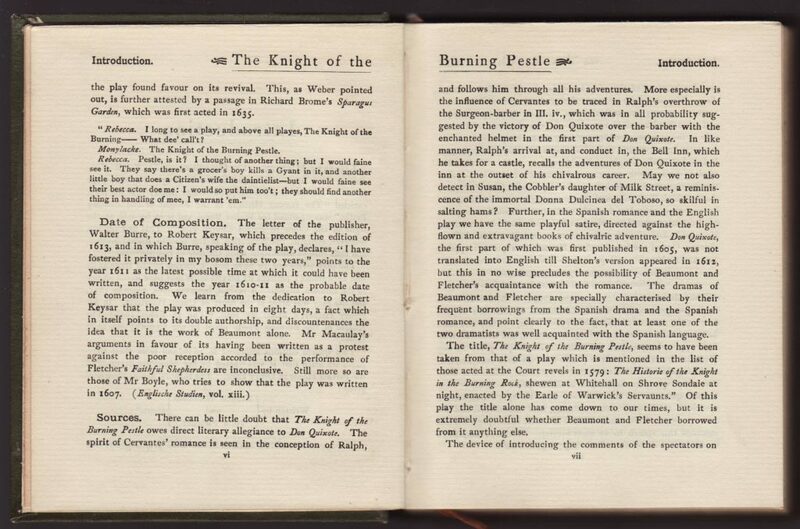 The entry below in a list of Macmillan books for 1896 introduces the series and includes different bindings and prices. 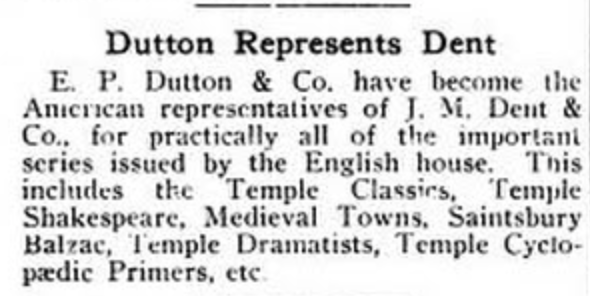 Dutton took over the series in 1910, along with other Dent series including the Temple Classics, Temple Shakespeare, Medieval Towns Series, and Temple Cyclopædic Primers series. 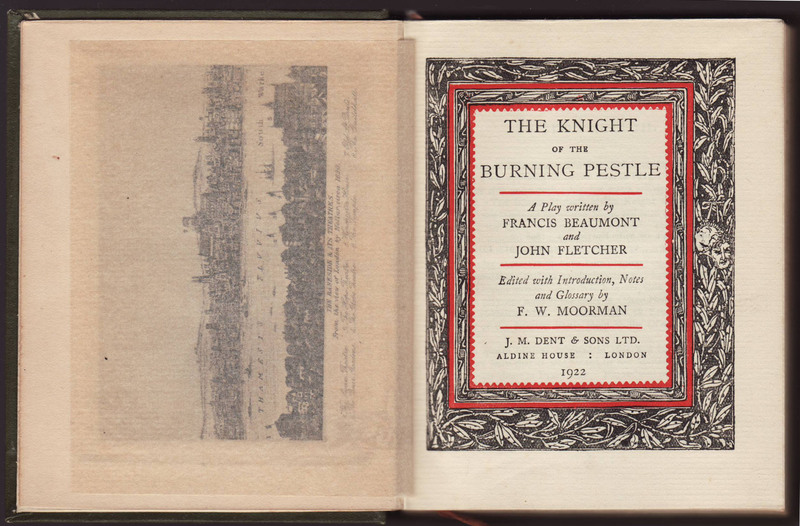 This series included plain, text jackets common to the series that, as in this 1922 (5th printing) copy of Beaumont and Fletcher’s Knight of the Burning Pestle, included no information about the title on the front of the jacket, but did include the title on the jacket spine. 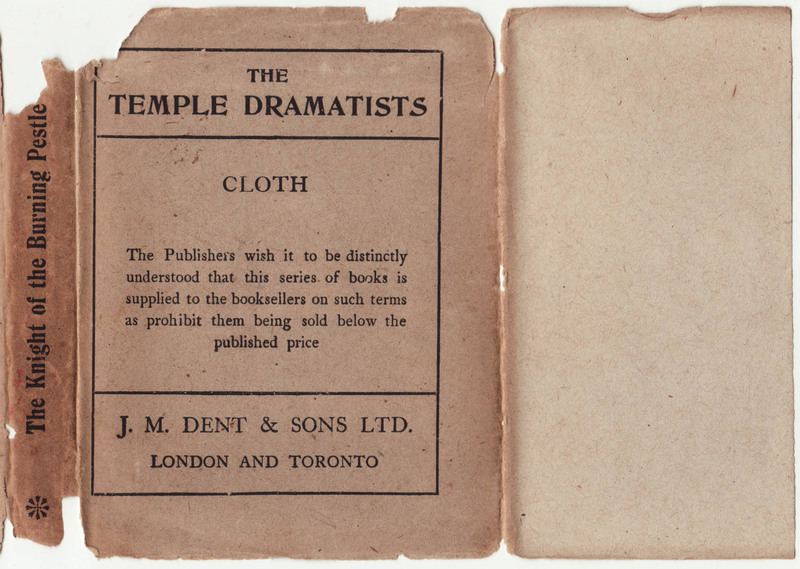 The front of the jacket includes the series name, binding (cloth), and a statement about pricing of the volume. The front flap is blank. 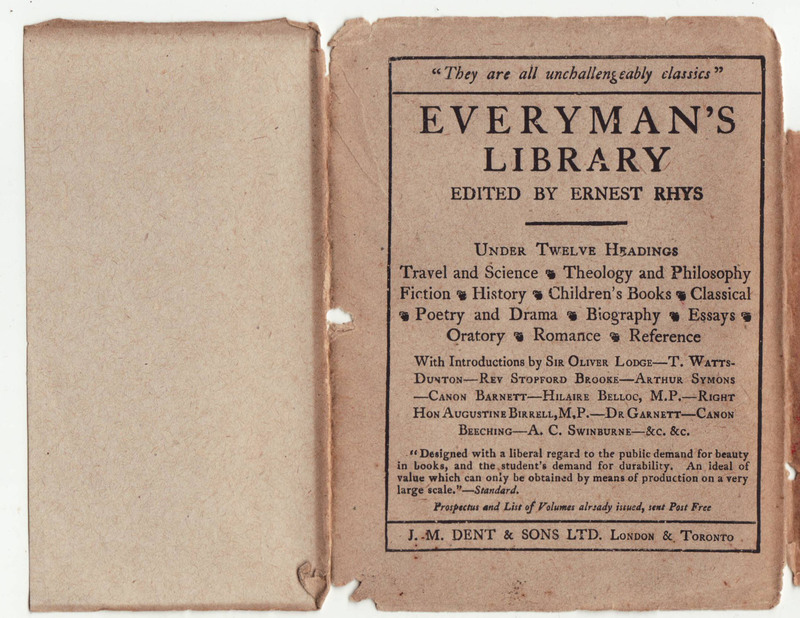 The rear of the jacket advertises Dent’s Everyman’s Library. The jackets are redesigned at some point in the 1930s, two color with a pattern but still common to the series. 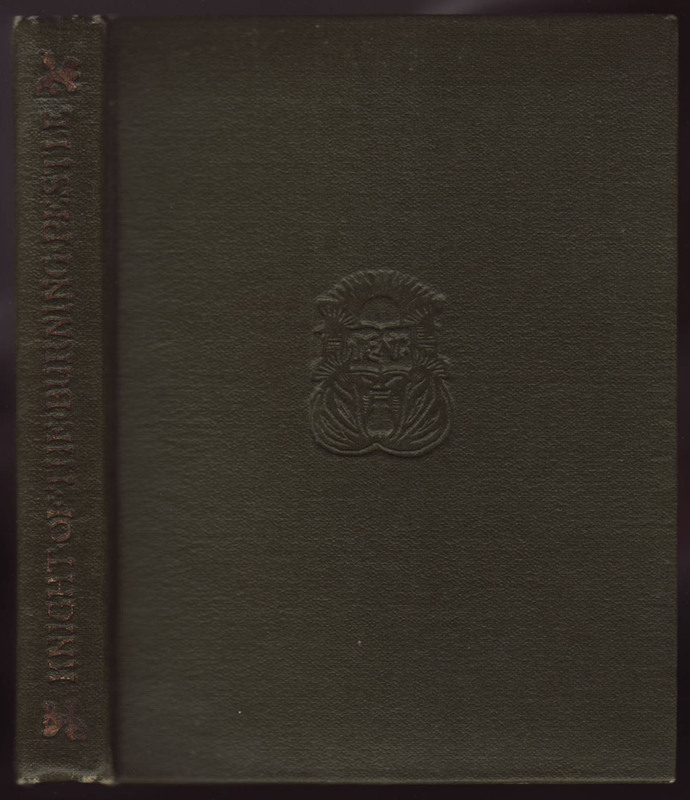 The deep blue cloth binding includes a debossed title on the spine and series colophon on the front of the book. Bindings also can be found in blue, and leather. Some creative book design elements can be found in the book itself, including illustrations and centered text on the half-title page. 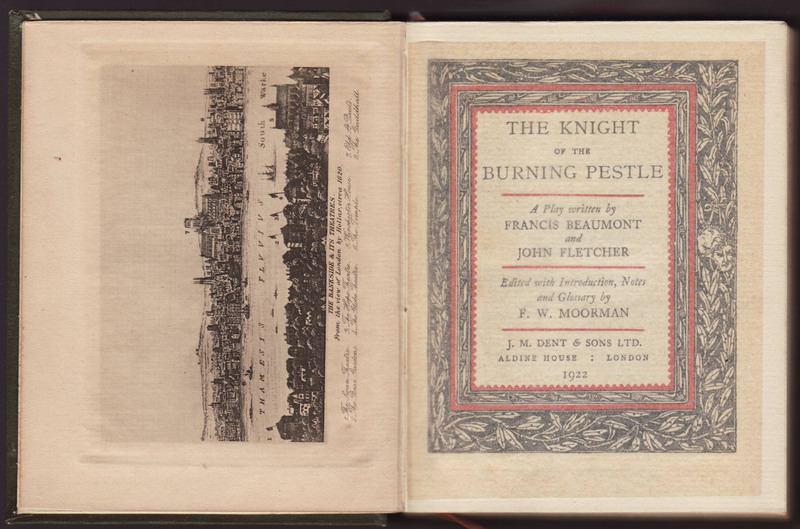 An illustrated frontispiece faces the decorated title page, with a sheet of tissue laid in between. The arts and crafts inspired design of the title page includes a red overprint and the date of this printing of the title (1922). 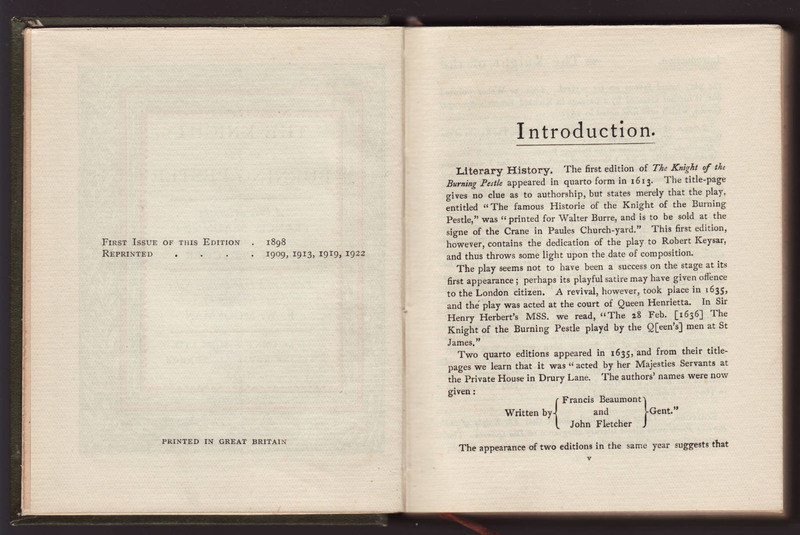 The copyright page, like that of most Dent series, includes detailed information about the first and subsequent printings of the title in the series. 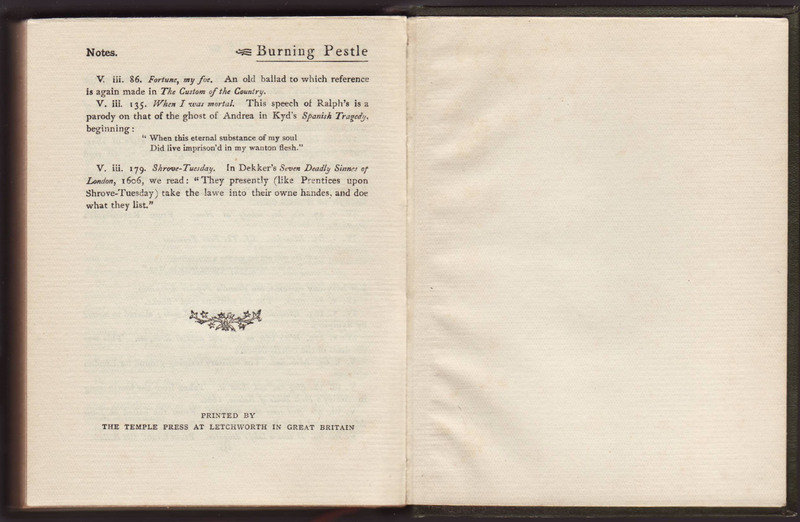 Page headers throughout the book are uniquely designed. The books, like many of Dent’s series, are printed at Dent’s Temple Press.